I am a day late on posting this, the last week has been nuts! Big Oops on my part! 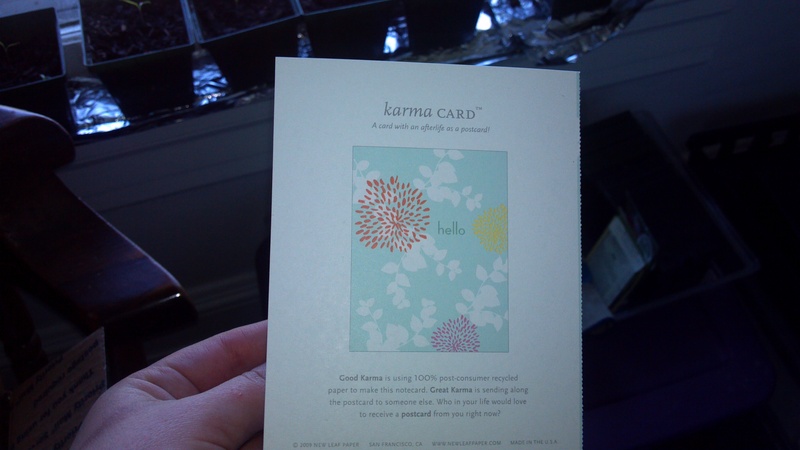 I sent a package to Jenni from Saint Louis over at J. Ferris Wheel Of… you can see what I sent her by clicking here. 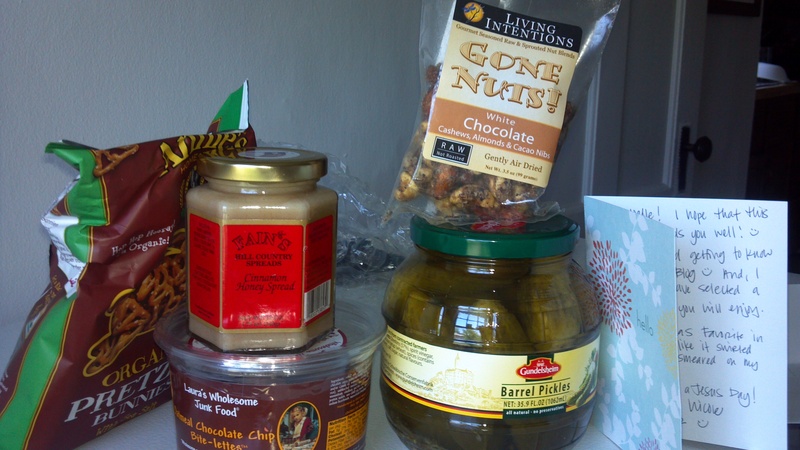 This month I received a lovely care package from Denise in Ohio… she rocks!!! 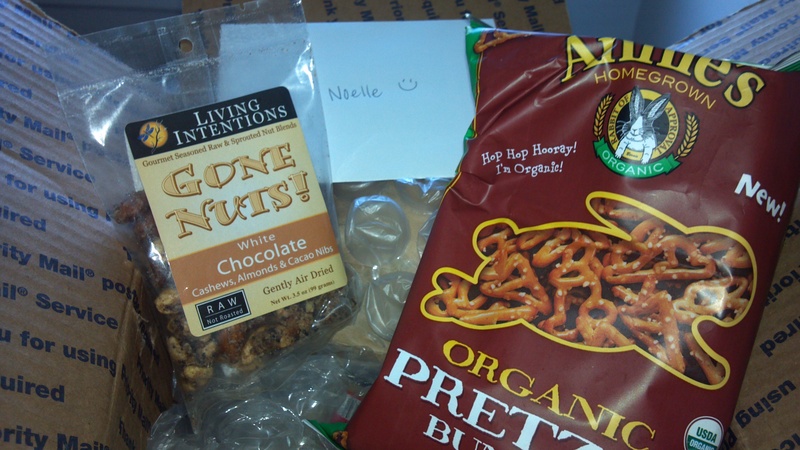 Huge thank-you Denise, I’m enjoying all of your goodies! 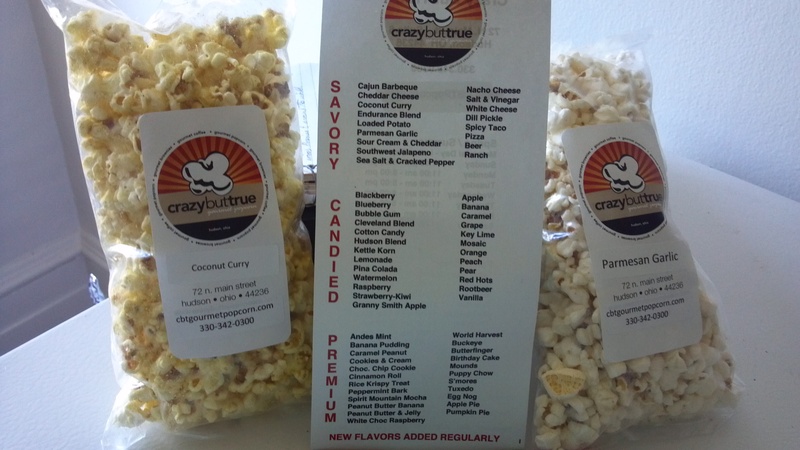 Two bags of specialty popcorn (Coconut Curry and Parmesan Garlic) locally grown and made in her home state of Ohio. The Raw Nut bars were pretty good, packed with protein, they were good for a quick pick-me-up between breakfast and lunch. 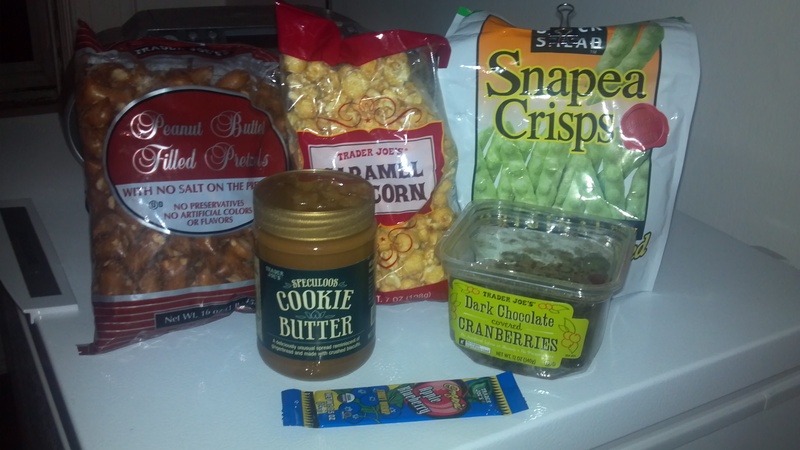 I really liked the chocolate cashew combination! I haven’t broken into the pumpkin butter…I’m waiting until Ben makes some bread.. I hope this happens this week! Fruit butters of any kind are always a win! The ginger and apples are being saved for baking/a rainy day/granola making. I’ll probably break them open this weekend for some experimentation. I am pretty sure my husband ate the fruit snack. And I am sure he enjoyed every last bite. If not, it’s an unsolved mystery where this tasty little treat disappeared to. The popcorn. Oh my goodness! This popcorn is delicious! Ben devoured most of the bag of coconut curry on the sly before I could get to it, but the parmesan garlic is being savored. Wowowowow! 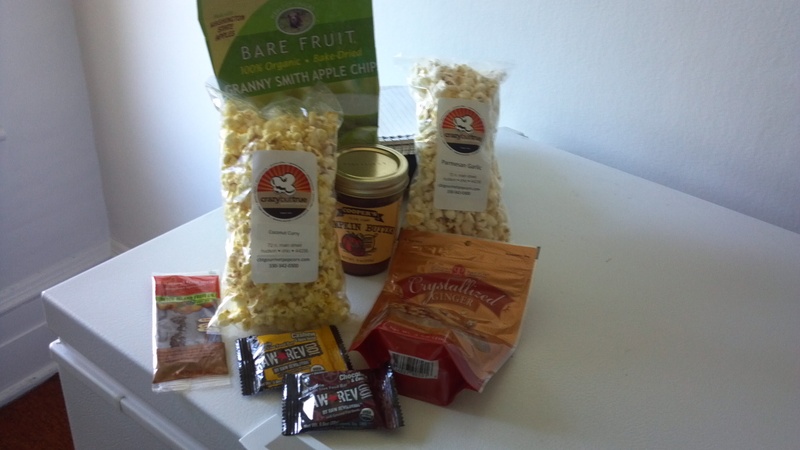 This photo gives more information on the shop the popcorn is from as well as their other flavors. Check them out! Another huge thank you to Denise, everything has been wonderful! In case you’re interested in becoming a Foodie Penpal, here are some details. To sign up, visit this page! You must sign up by the 4th of the month.